Cash ISAs offer a great way for people to maximize the amount of money they can earn on their savings. With a standard cash savings account you have to pay income tax on any interest that is accrued, but when you save into a Cash ISA your returns are tax free. Also Cash ISAs offer very competitive rates of interest that compare favourably to savings products offered by banks and building societies. They are available to everyone aged 16 and over who is a UK resident. If you don’t use up your ISA allowance during the tax year, it doesn’t roll over to the following tax year. – If you withdraw money and your total balance then falls below the yearly allowance, you will not be allowed to top up your account to benefit from the tax advantages. Every year your ISA allowance rises in line with the rate of inflation. 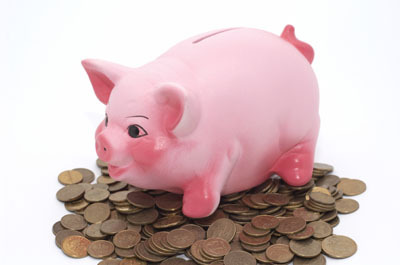 From April 6th 2013, your Cash ISA allowance will increase to £5,640. How much income tax could you save? Utilising the Cash ISA allowance every year can end up saving you hundreds or even thousands of pounds(particularly if you’re a higher rate taxpayer) over time. Let’s provide an example of the kind of tax benefits if you were a basic rate (20%), higher rate (40%), and top rate (50%) tax payer. A Cash ISA of £5,340 which pays interest at 3.5 %p.a. will give you £186.90 as an annual tax-free income. This is the most common type of Cash ISA purchased by savers and has many similarities to a high interest savings account. The interest paid is at a variable rate, and you can withdraw money at any time usually without penalty. This type of Cash ISA pays interest at a fixed rated for a fixed period of time, usually between one and five years. The downside with this option is that you’ll incur a charge if you withdraw your money prior to the end of the fixed period. This is a relatively new type of Cash ISA, where the rate of interest you receive is above the rate of inflation. This is a great way of ensuring inflation doesn’t erode the value of your savings. However, similar to a fixed rate Cash ISA you will have to be prepared to tie your money up for a fixed period- typically one year plus. Transferring a Cash ISA to another provider that pays you a better rate of interest is easy to do. That’s all that’s required of you is to complete a standard transfer form for the provider you’re moving to and they will take care of everything else. Prior to transferring your funds, it’s very important not to withdraw any funds from your existing provider, as you will then that portion of your allowance for that particular tax year. As well as transferring your Cash ISA to another provider, you can also transfer it into a Stocks & Shares ISA. However if this is something you wish to do, then you first should seek the advice of a qualified and reputable financial advisor as these types of ISA’s involve investment risks.